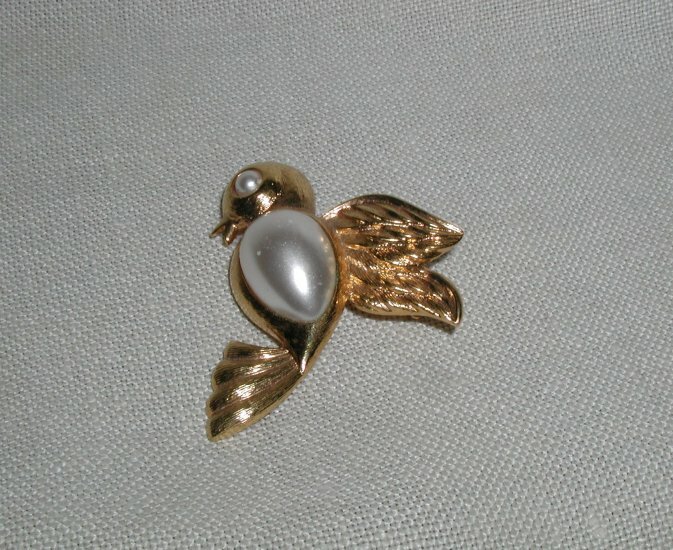 This offering is for a Vintage Dove Jelly Belly Pearl pin. Measures 1 3/4" from beak to wing tip, and 2" long. Pearl has some spots on it. I didn't try to clean it. Signed Napier. Otherwise great condition.